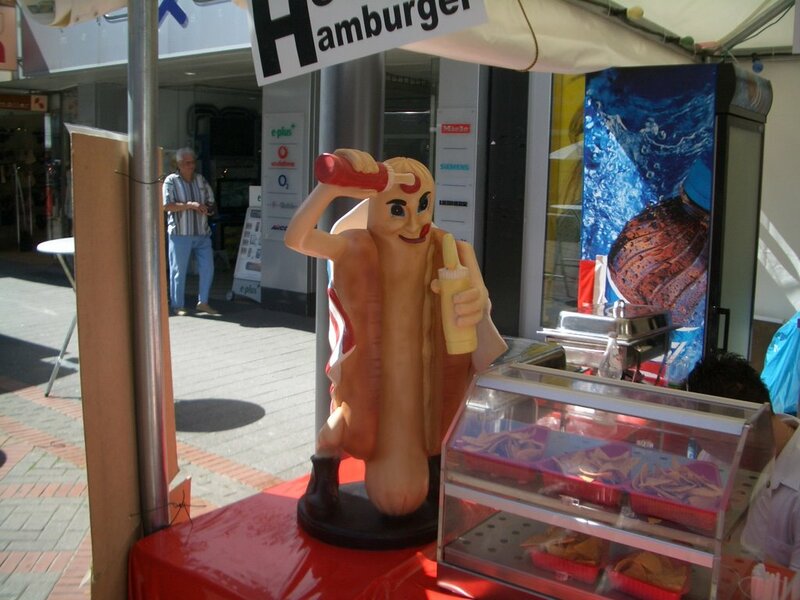 World Cup Scrapbook: "I'd smother myself in brown mustard..."
"I'd smother myself in brown mustard..."
If you've ever seen the Saturday Night Live skit where Will Ferrell plays Harry Carey, you'll enjoy this next picture from the streets of Gelsenkirchen. In the words of Will/Harry: "If you were a hot dog, would you eat yourself? I know I would. I'd smother myself in brown mustard. I'd be so tasty!"